MARCH 4th, 2017, on the stroke of 1.00pm, saw the long anticipated SIX TIMES OPEN head shave event get underway in Piccadilly Circus, central London. This was the first of 6 key events to take place in 2017 for the campaign. 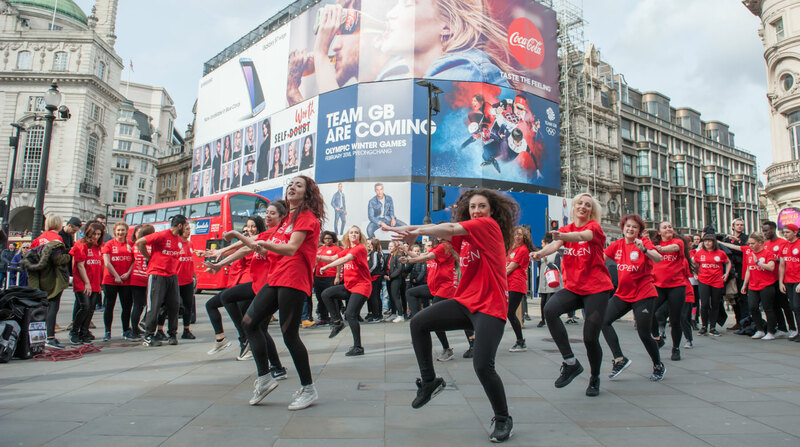 The crowds were treated to a spectacle as an 80+ strong flash mob, choreographed by award winning movement director, Brendon Hansford, laid down the moves before the head shave began; many of whom have their own personal reasons for dancing and supporting the cause. It was a privilege to stand alongside our friends and lose our hair from such an amazing cause. 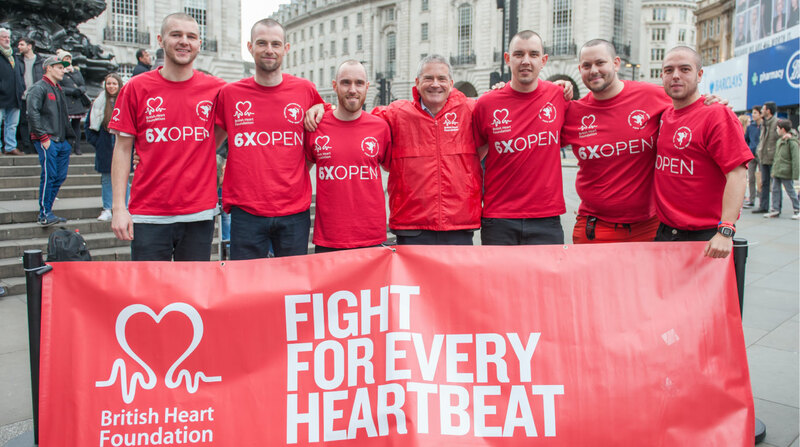 The legends, thats stood with us, immortalised as ‘The Piccadilly Six’ are; Joshua Sutcliffe, Patrick Cunliffe, Benjamin Wildman and Matthew Hadden, each with their own unique story and connection to heart disease and the British Heart Foundation. The response from the crowds and spectators was fantastic and it was added to by having British Heart Foundations, Chief Executive, Simon Gillespie, join us to support the twins in this year of campaigning to raises 100K and awareness for the BHF. A huge thank you to all our sponsors and service partners who made the day extra special. The Official video for the event will be released shortly.